Launch Day for Across the Blue! Hi Friends, It’s time to celebrate the release of Across the Blue! And I can’t wait to share this new story with you! It takes me about a year to research, write, and revise, a novel . . . so I’m sure you can understand how exciting it is to send a new book out to all my reading friends! We have some fun events planned this week to connect with you and share more about Across the Blue! Today Across the Blue is featured on several blogs. Take a look at these posts and read what reviewers are saying about the story. And don’t forget to order your copy. Wednesday: I’ll be on the radio this morning at 9:00 AM EST, talking to Greg on WMPC. Catch the interview live or listen later at this link. Thursday: Join me for the Facebook Live Video Party at 8:00 PM EST, 7:00 CST, 6:00 MST, 5:00 PST on my Facebook Author Page. I’ll be giving you a behind the scenes look at the characters, setting, and events in Across the Blue. You can take part in the games and enter the giveaway! If you miss the live video, no worries. You can listen in later that night or Friday. The giveaway will be open for 24 hours. Friday: Local friends, I hope you stop by Barnes & Noble in the Hamilton Marketplace between 7:00 – 9:00 PM. I’m one of the featured authors on their local author night along with my husband, Scott. We’d love to meet you! I’ll be signing Across the Blue and he’ll be signing Motivate Your Child. More info at this link. Saturday: Take part in the Celebrate Lit Blog Tour and enter the giveaway! I’d love to hear your thoughts about Across the Blue. You can connect with me through my website, Facebook, Twitter, Pinterest, or Instagram. Hi Friends, Did you know in the late 1800s and early 1900s very few women worked as journalists, and the few that did were usually assigned to write women’s columns about fashion, cooking, homemaking, and childcare, or if they were fortunate, they might be asked to cover weddings and social events. There were a few daring reporters in that era like Elizabeth Cochrane, better known to her readers in America as stunt reporter Nellie Bly. She began her career in journalism in 1885 when she was 18, after she sent a letter to the Pittsburgh Dispatch, protesting an article, entitled “What Girls Are Good For.” The article argued that women should confine themselves to domestic chores and childcare. The editor replied to Elizabeth Cochrane by asking what articles she would write if she were a journalist, and her response was that newspapers should be carrying more stories about ordinary people. And that earned her a job! Elizabeth Cochrane became a campaigning journalist, who did undercover work, exposing injustice and changing policy on healthcare, housing and child labor. For one of her most famous stories, she pretended to be mentally ill and was admitted to a New York insane asylum for 10 days. After her release, she wrote about the harsh conditions, abusive staff, and the fact that many inmates were sane but had been falsely incarcerated by relatives who wanted them out of the way. She is also known for writing Around the World in Seventy-two Days, which chronicles her amazing race around the globe when she was trying to best Jules Veren’s chararcters in his novel Around the World in Eighty Days. 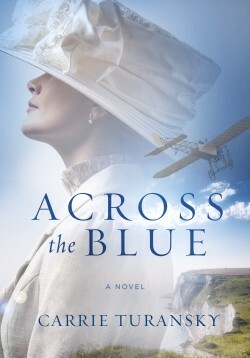 In my latest novel Across the Blue the heroine, Bella Grayson, dreams of following her father’s footsteps and becoming a journalist. From the time she was a young girl her father read the newspaper to her, and they discussed world events. Bella is bright and inquisitive, and she longs to please her father and feel closer to him. Writing for one of his London newspapers seems like the right path to follow. But Bella learns there is a cost to following her dreams. 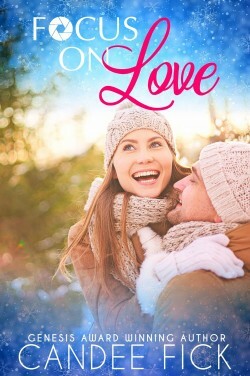 When her secret role as a journalist conflicts with her growing relationship with aviator, James Drake, she must decide what’s truly the most important to her. It was interesting to look back at women’s roles and see how much they have changed in the last 100 years! Across the Blue releases February 20th and is available as an eBook or paperback. Check you local bookstore or order online from your favorite retailer. I hope you’ll join me for the Across the Blue Facebook Live Release Party Feb. 22 at 8:00 PM EST! Follow this link and click going, and I will send you a reminder that day. See you there! Hi Friends, Are you looking for some new books to read this month? These are the February releases from American Christian Fiction Writer member authors.